Edited 1 time(s). Last edit at 2017-01-31 15:22 by MegaV0lt. Can you please you two make a some deal? I have 2 different informations how should comment be. I have the same problem with version 4.6.2 (2750). 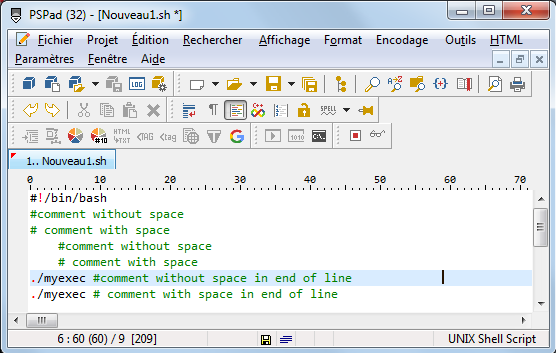 Comments are not highlighted if there are no space between # and the next character. I test with version 5.0.0 (251). they talk about usage of "Whitespace" in front of the "#" sign to indicate for a comment. Well I see following always works. Could the <Tab> be also included in the determination for the corret comment usage? That would be marvelous, as I tend to use <Tab> signs instead of lots of Spaces in scripts. If I have a Userdefined Syntax I can define a character as the start for a comment. 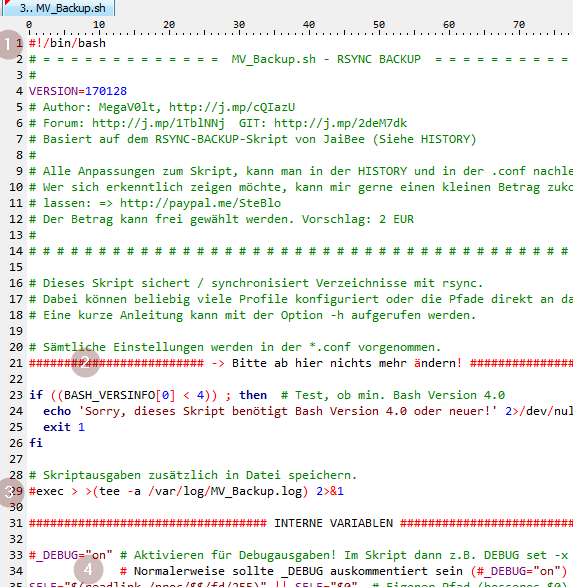 But there is no Userdefined Syntax file like BASH.INI in the /Syntax directory. Maybe I use my time once to create one, just to see if it works then. It shouldn't be big problem, I will add TAB as white space too.